Camping Polari es un camping en Rovinj, Istria, situado junto al mar. Este camping en terrazas y camping con terreno inclinado tiene plazas con cercos, con sombra, sin sombra y parcelas con algo de sombra. Camping Polari se encuentra junto a una playa de piedras. Cabe alquilar tiendas de campaña, caravanas y caravanas fijas. El camping dispone de parque de recreo y de terreno de deportes. Para los excursionistas, el camping ofrece programas de excursión y varias rutas para bicicleta. Hay un programa de animación. El camping dispone de una piscina descubierta y una piscina infantil. En los alrededores, podrá nadar en el mar. En el Camping Polari se autoriza windsurf y esquí acuático. Este inspector visita cada año al Camping Polari y lo inspecciona considerando más de 200 servicios y otros aspectos importantes. El inspector es un trabajador de ACSI y no trabaja para el camping. Wonderful camping with huge pitches, well defined, with water. Camper service ok. Connected to the town through cycle path. Perfect for families with children. Nice, small camp in a beautiful environment, near the sea. This site is ideal for couples and families alike. You choose your own pitch all at least 100m2. But if you want a comfort pitch it is an extra amount per night! It is a big site and has open, partial shade and full shade pitches, just make your choice. Toilet blocks vary from modern to ageing but all are clean and functional.Direct access to the sea, a wonderful pool, supermarket on site, what more could you ask for. Paradise on the Croatian coast. Easy cycle ride to Rovinj by road a little more of a challenge via the coastal path, but the views are stunning. We love it! Our second time at this campsite. Beautiful setting close to the picturesk town of Rovinj. excellent possibilities for walking and biking. This site is enormous, we've never seen anything like it. We visited in the last week in September and the site was due to close at the end of the week we were leaving. As a result it was mostly empty which suited us. I can't imagine what it would be like to be there when it's full. The site has a fabulous cycle path all the way along the shore to Rovinj. It's mostly flat and the views stunning. The toilet and shower facilities on the site were clean and functional but not ultramodern like some we encountered on our trip. The beaches are great for swimming, I even fished. The naturist area is to one end so you can be away from it if you want to. Being such a big site our pitch was probably 1/2 mile away from it. We'd definitely come back to this site and Rovinj when we return to Croatia. Very large site that allows you to choose to be on a pitch that is by the sea, in the woods, busy or quiet. Good facilities, pool, shops and restaurants. Employees very friendly and English speaking. A huge site, but as it was early May, we could find a quiet spot. Facilities are good (men can use female facilities in low season). Beautiful coastline and a flat, gorgeous 90 minute walk into Rovinj. Wi-Fi is quite pricey. ¿Desea reservar u obtener más información sobre su camping Camping Polari? Puede hacerlo mediante los datos siguientes o a través de la web del camping. 3 km al sur de Rovinj seguir señalización al camping. 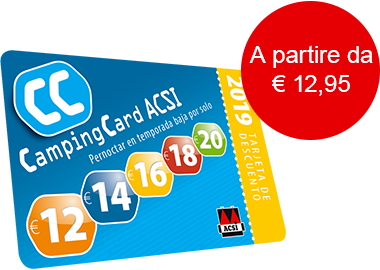 ACSI Eurocampings reenvía su solicitud de información al "Camping Polari".